What is Conquer Breakups Now Software? Conquer Breakups Now is a software program that provides you with the tools needed to be conquer your breakup now. The software takes you through a daily conquer breakups success process designed to help you conquer your breakup now. Systematically drives you to conquer your breakup on a daily basis using a step-by-step conquer breakups success program. 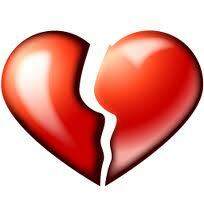 Daily prayer, success confirmations and hypnotic session to help you conquer your breakup. Daily knowledge session to help reinforce your desire to conquer your breakup. When you have completed the program, you will be awarded a "Conquer Breakups Now Success Certificate". Print out your "Conquer Breakups Now Certificate" and display it proudly in your home and place of business.